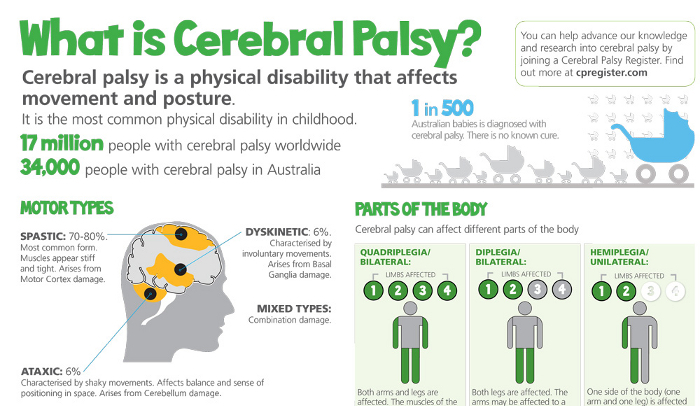 Cerebral Palsy ( CP) is a general term used to describe multiple types of chronic “palsies” -these are disorders that impair control of movement due to damage to the developing brain. CP normally develops by the time a child is at 2 or 3 years old. CP is a non-progressive disease, which means brain damage does not worsen or change over time. However, symptom due to brain damage due change, and they can improve or decline. However, the cause does not progress. 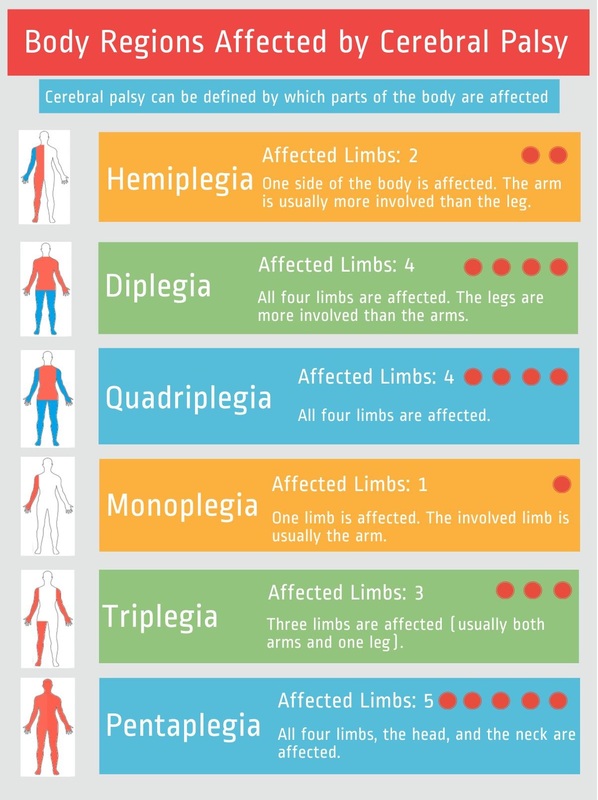 CP is one of the most common causes of chronic childhood disability. Around 10,000 infants are diagnosed with Cerebral Palsy and up to 1,500 preschoolers in the U.S Are identified as having it each year. The United Cerebral Palsy Association estimates that nearly 770,000 Americans have Cerebral Palsy today. Nearly 35% and 50% of all children wth Cerebral palsy will have a seizure disorder that impacts them, and form some level of mental retardation, which as called intellectual disability (ID), characterized by below-average intelligence or mental ability and often may lake the skills necessary for day-to -day living. They may also have a learning disability and vision, speech hearing or laughed problems. 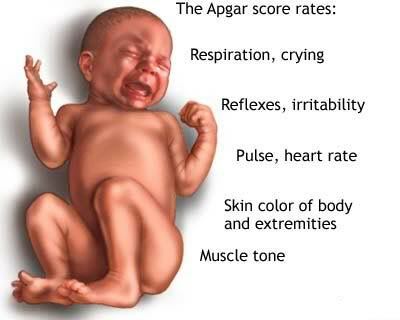 There is still not much known aboyt the causes of this disorder, but there is evidence that supports theories such as infections injuries, poor oxygen supply to the brain before, during or immediately after birth as a result. Infants born prematurely are special, vulnerable,. 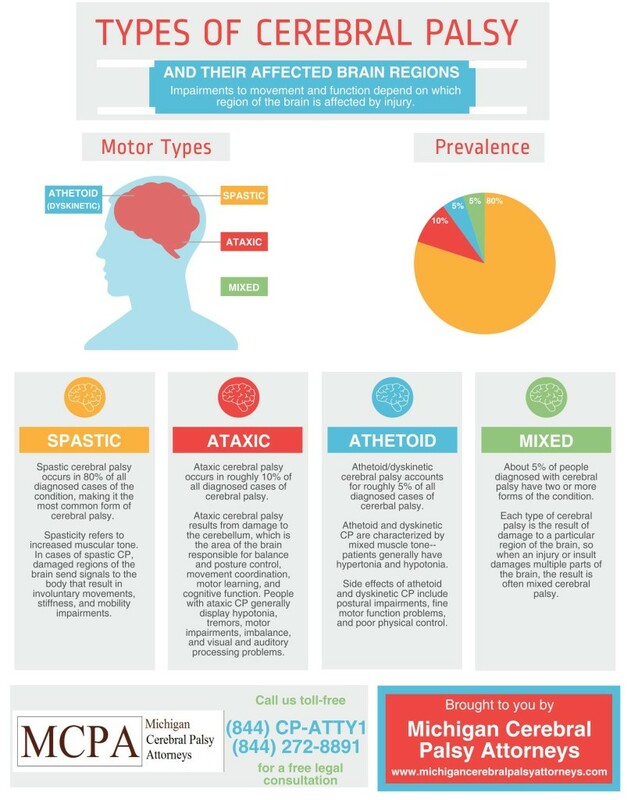 Severe illnesses such as meningitis during the first years of life, severe dehydration, physical trauma can cause brain injury and result in CP. Infections that occur during pregnancy can cause and damage to the fetus’ developing a nervous system. These include rubella (German measles) cytomegalovirus; rubella is a very contagious illness caused by the rubella virus ( herpes type). It is us lay a mild illness. However, in rare cases, It may cause more serious issues. Toxoplasmosis ( is an infection caused by a parasite hat can be carried in cat feces or meet that is note cooked adequately. Other infections in pregnant women, there may be undetected and are being recognized as significant causes of developmental brain damage in the fetus. A Severe case of jaundice in an infant. jaundice is caused by an excessive amount of bilirubin in the blood. Usually, bilirubin is filtered out by the liver. Bilirubin is a brownish yellow matter found in bile. It is produced when the liver breaks down old red blood cells. Bilirubin is removed from the body via stool (feces) and give stool its normal color. Ofen newborns (the liver need a few days before starting to filter out bilirubin effectively, so it is not uncommon for infants to have jaundice for the first few days after birth. IN most cases phototherapy(light therapy) will clear up jaundice, and there are no long-lasting health effects. However, there are rare cases of severe untreated cases of the disease can result from damage brain cells. Rh incompatibility between mother and baby. In this blood condition, the mother’s body generates antibodies that damage the fetus’s blood cells. This leads to a form of jaundice disease within the baby that may cause brain damage. The physical and metabolic trauma during birth. This can result in precipitate brain damage on the fetus whose health ha been treated during development. Severe deprivation of oxygen to the brain or significant trauma to he head during labor and delivery. According to the United Cerebral Palsy Association, approximately 10% of children with CP in the U.S develop the disorder after birth. It emerges from brain damage in the first few months or hears of life. CP often follows infections of the brain, such as bacterial meningitis or viral encephalitis, or it may be results of a head injury. 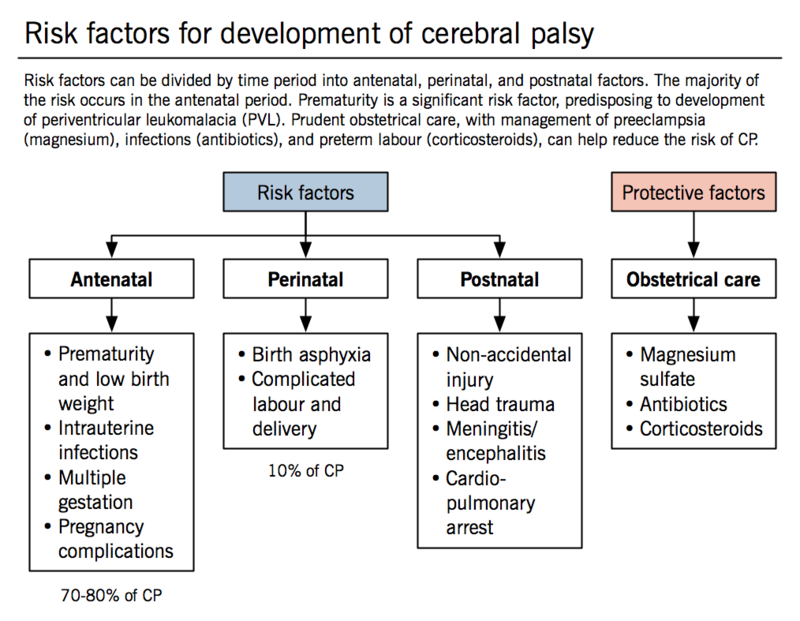 There are risk factors hat increase the likelihood of a child later being diagnosed with Cerebral Palsy. Breech birth, these are birth where the buttocks, feet, knees, come out first. Vascular or repertory problems in the infant during birth. Physical birth defects such an impaired spinal bone formation, abnormally small jaw bone, and groin hernias. Being born as twin or part of multiple births. Mothers who have bleeding or critical proteinuria (excess protein in the urine) late in their pregnancy have a greater chance of producing a baby with CP, as a mother who have hyperthyroidism or hypothrydoism mental retardation, or seizures.